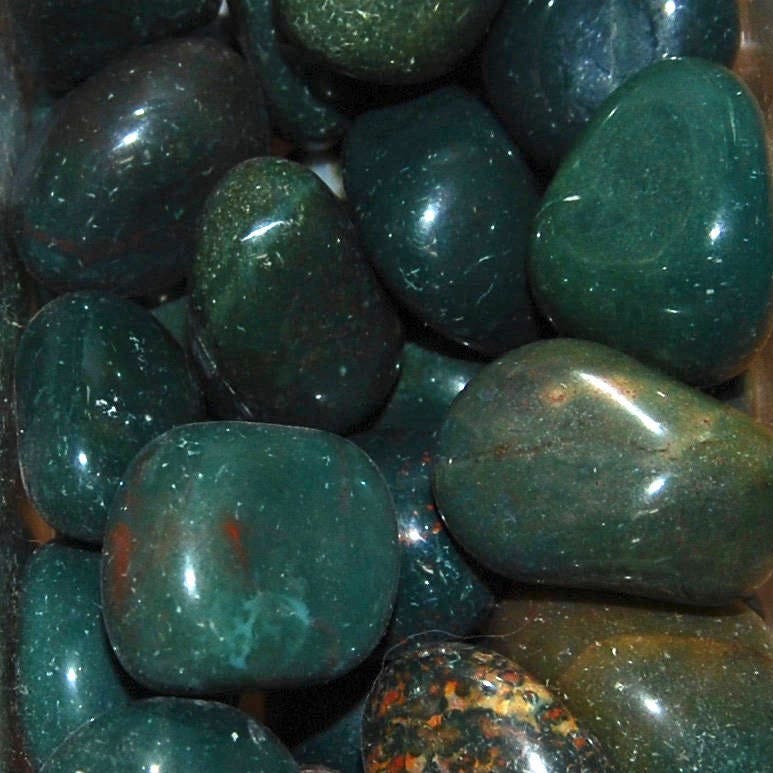 Natural medium Bloodstone tumbled stones from India. These pieces measure .75 to 1.25 inches. Gives courage, guidance, and power to adapt and make decisions. Aids in healing blood related disorders. increases physical strength. Encourages success in business and legal matters.